The winter is coming, and it means that everyone starts thinking about holidays. Presents, dishes, traditional songs and suits, different competitions, giveaways, sales. This list could be endless, because every person enjoys holidays because of something that only he/she loves to do. 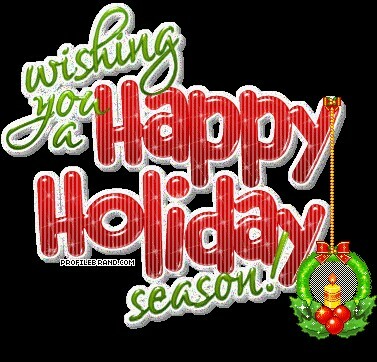 In our days, holidays couldn`t happen without huge social media activity. People start inviting friends to a dinner, someone is looking for a flat to celebrate New Year or anything else that could make people generate content in the social media. In this article we will tell you about the most effective ways of creating right social media posts. Everyone has heard some cool stories that happened to someone on holidays. Stupid situations, spectacular performances or something like that. If you remember such story, why not to tell it. You will give people positive emotions, awake their holiday mood or just keep a good atmosphere through your subscribers. Someone could share it to increase activity and the number of views. Good for you, good for everyone. Yes, the time has come! You`ve waited for this for a whole year so, you can tell people how to create the most delicious cake in the world or how to bake meet with potato and vegetables to make it very, very tasty. For us, the best social media to share such holiday posts is Instagram. If your dish looks really good, you can add a photo of it and write a short instruction how to cook it (no one wants to read long posts). You can also add some hashtags to increase visibility and get more likes from other users. Also, if you will search for some new recipes, you can visit Instagram too. 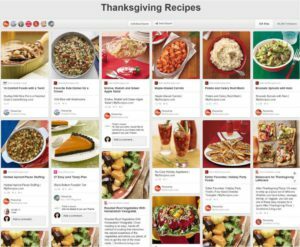 People share thousands of posts with their favorite dishes and detailed recipes. We promise, after a few minutes of searching, you will have at least one new recipe in your collection. A book is a perfect present for a bigger part of people on the planet. There are different genres, different authors and, of course, different books. However, not everyone could just go and buy the book he wants. You can give him an opportunity to make the dream come true. Of course, giveaway is a kind of contest, but everyone has the same chances to win. You should remember that every giveaway shouldn`t be too long. The most optimal period is ten or twelve days. If it will be longer, people will lose interest and won`t react on it even after victory. Make a non-standard photo of it. If needed, use some programs for processing. Set circumstances of the competition (for example, like + comment and tag a friend in comments – the most common circumstances for giveaways). Write a short description of your photo and post it. Don`t forget about hashtags. They will help you to cover a bigger audience. After that, just wait for the final day of the giveaway and choose a winner with the program of random choice. Everything is fair, so you won`t have negative comments. If you are a designer or a developer, such information may help you. The best variant of a holiday present is a handmade stuff (cups, notes, accessories). You can use the power of Pinterest to share your works. Put sales on the most expensive goods to draw people`s attention (they always react on sales, believe us). Probably you know some of these ways of making good holiday posts in the social media, but we`ve remembered them to show people that they could get a huge activity in their profiles even on holidays with these simple, but workable methods.